Hue (city), city in central Vietnam and capital of Thua Thien Province. 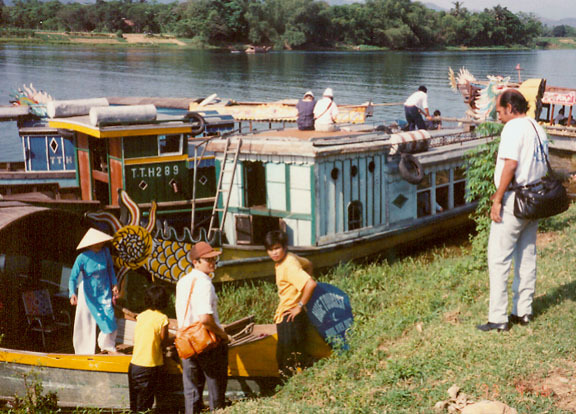 Hue lies on the Huong River (Perfume River) about 15 km (about 9 mi) west of the South China Sea and about 650 km (about 400 mi) south of Hanoi. 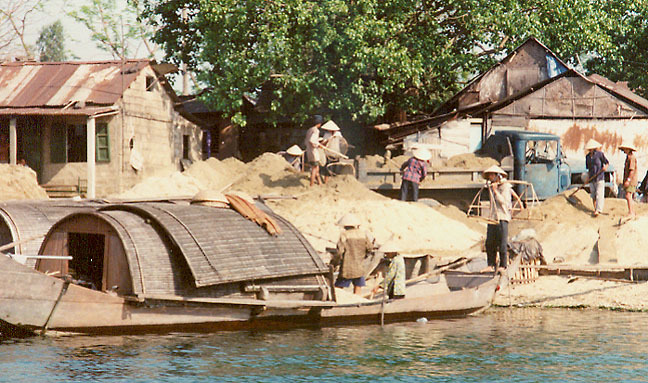 The city is an important trade center surrounded by rice fields. Chief economic activities include tourism and the manufacture of textiles and cement. Hue is connected by road and rail to Hanoi and Ho Chi Minh City. The city is also served by Phu Bai airport, originally constructed as a United States airbase during the Vietnam War (1959-1975). 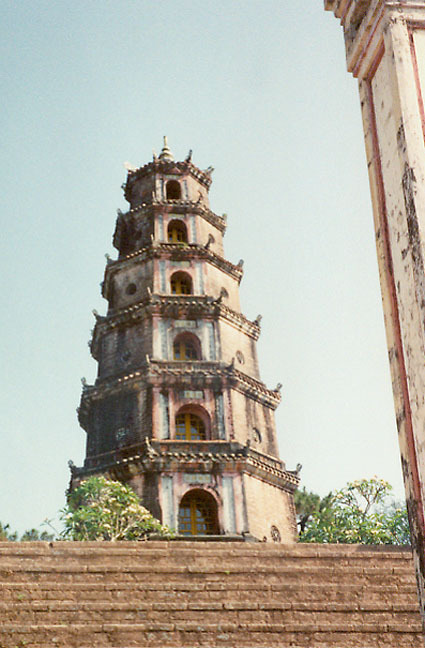 Many historical buildings are located in Hue, largely a legacy from its time as a capital of the Nguyen dynasty (1802-1945). Inside the city are the Royal Citadel, Flag Tower, Royal Palace, and Royal Tombs. 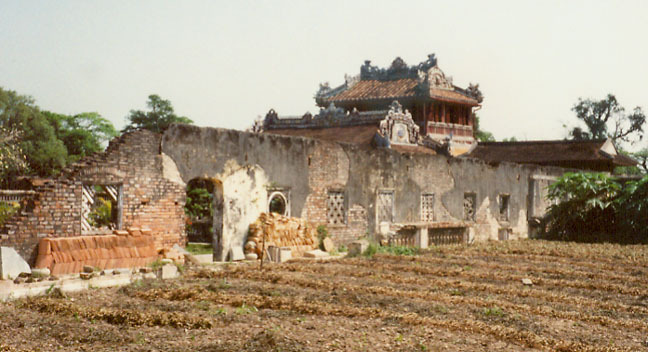 Hue’s Forbidden Purple City was once reserved for the royal family; it was severely damaged during the Vietnam War. 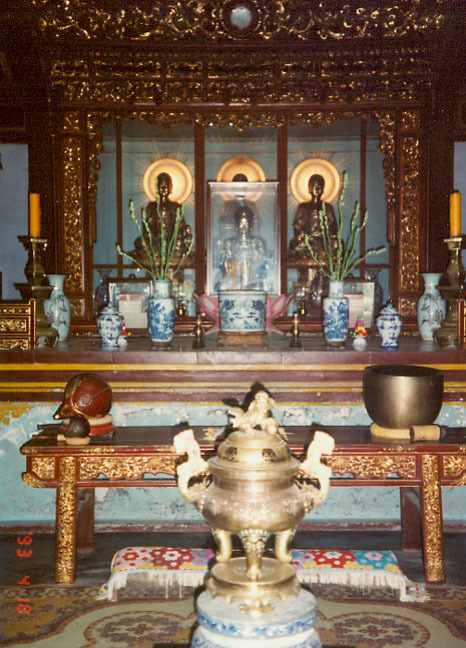 Outside the city is the religious site known as Nam Giao Hill, or Heaven’s Altar. 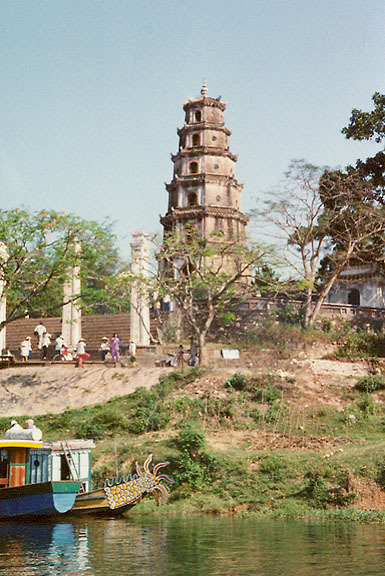 The area around modern Hue was settled in about the 3rd century BC under the Nam Viet empire. 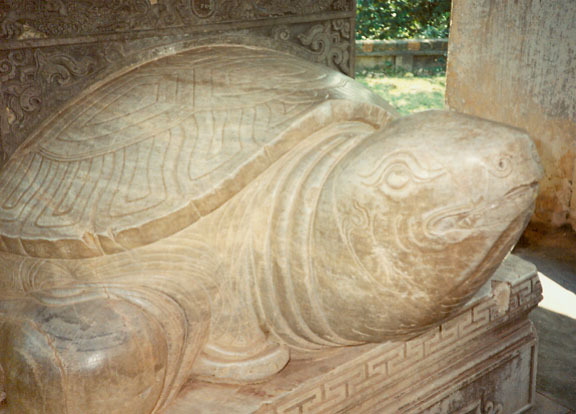 By the 3rd century AD the kingdom of Champa had overtaken the area. 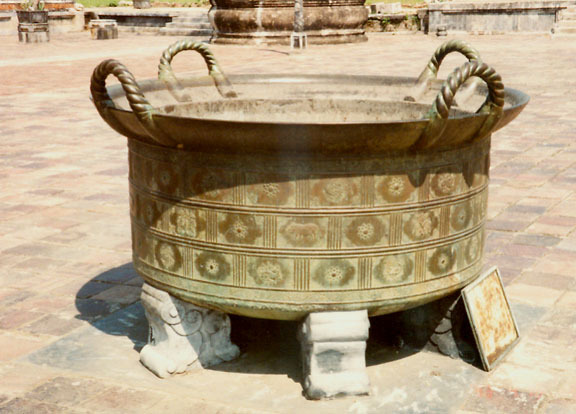 In the late 14th century a king of Champa gave the area as a wedding present to the Vietnamese. 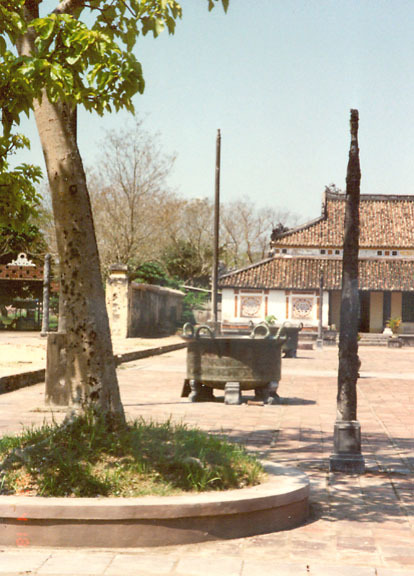 After 1802 Hue became the capital of the Nguyen dynasty. 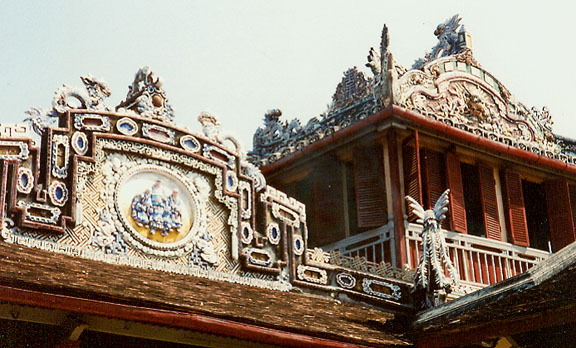 In 1883 Hue was taken by the French and made capital of Annam, a French protectorate. The name Hue may be a French misrepresentation of the word Hoa from Thuan Hoa, the name of the province where the city was then located. 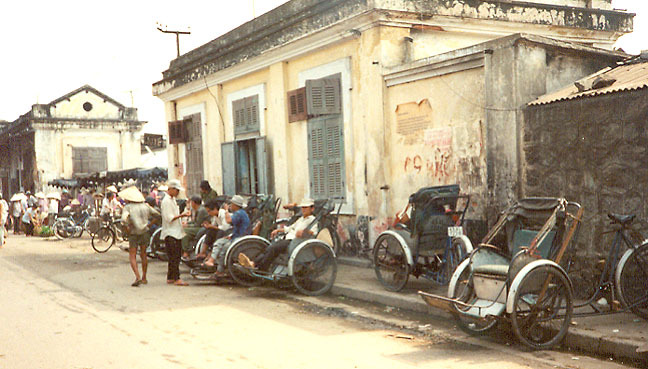 The city was instrumental in the political movement against Vietnam’s king. 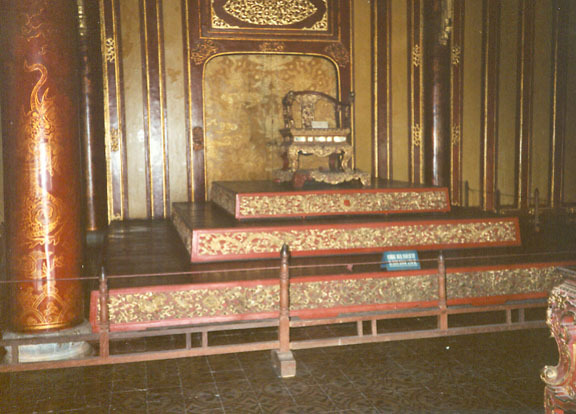 During the 1945 August Revolution, a popular uprising for independence, a coalition of Communist and nationalist forces seized Hue and forced the last Nguyen king to abdicate. 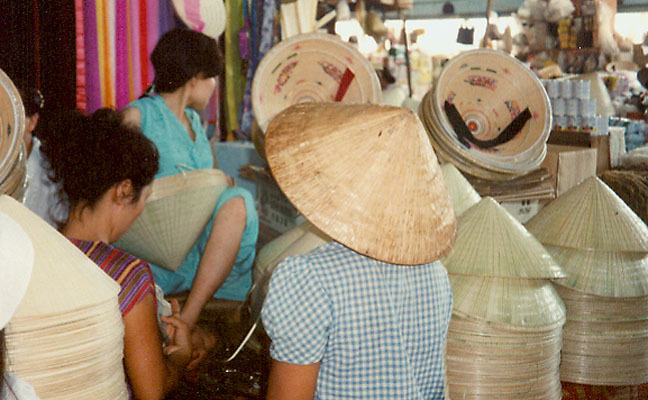 After Vietnam was partitioned in 1954, Hue became part of South Vietnam. Because the city lay near the 17th parallel (and thus North Vietnam), it was central to much of the fighting during the Vietnam War. During the Tet Offensive in early 1968 North Vietnamese and National Liberation Front (NLF) forces held the city for 25 days. When U.S. and South Vietnamese troops retook the city in February, they accused the North Vietnamese and NLF fighters of killing many civilians during the occupation, including Buddhist monks, Catholic priests, intellectuals, and merchants. The details of the supposed massacre have been the subject of much debate and denial. During the retaking of the city, as many as 10,000 people died and much of the city was destroyed. 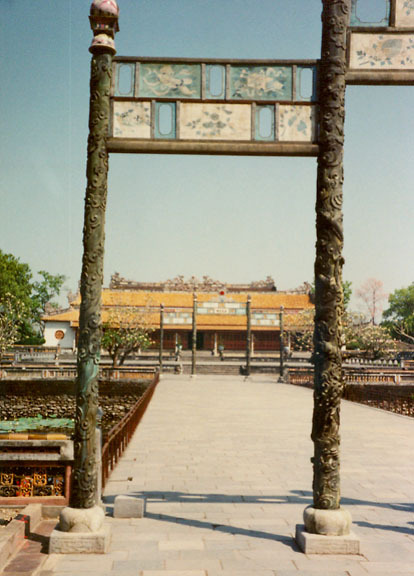 In particular, the Forbidden Purple City was heavily damaged. NLF troops took the city back on March 25, 1975. Population (1989) 260,489.